I don’t know about you, but everything year I swear I am going to get my Christmas shopping done early and every year it ends up being a scramble. This year it’s been a little easier since I haven’t been working so I’ve been making more goodies. So here are some ideas for handmade gifts you can give that don’t take weeks to make! Scotch Salted Caramel Sauce – This recipe will make enough for two or three jars for you to give as gifts. It will keep longer if it’s refrigerated so you may want to store it in the fridge until ready to give it away. Put a festive tag on it reminding people to chill it. It’s so tasty and anyone that receives some will feel really special! Hot Cocoa kits – Package up these items in a bag or cute basket with instructions for a fun gift! Hot cocoa mix- mix together 3 tablespoons sugar and 6 tablespoons cocoa and put in a jar. They’ll just need to heat up 2 1/2 cups of milk and this mix for some great hot cocoa! Homemade marshmallows– I make various flavors of marshmallows throughout the year and they are always a big hit! Homemade ones melt much better in hot cocoa and are a ton more flavorful than store-bought. Applesauce – My honey Cardamom Applesauce is made in the crockpot which means it’s super easy. You can also can it, which makes it a great candidate for gift giving. Label the jars with what it is and the date and put a cute ribbon on it and you’ve got a simple gift. Jars of this applesauce make great hostess gifts also! Containers- I collect random jars throughout the year or save containers from candles I’ve bought. Mason jars also work great and look really cute too! 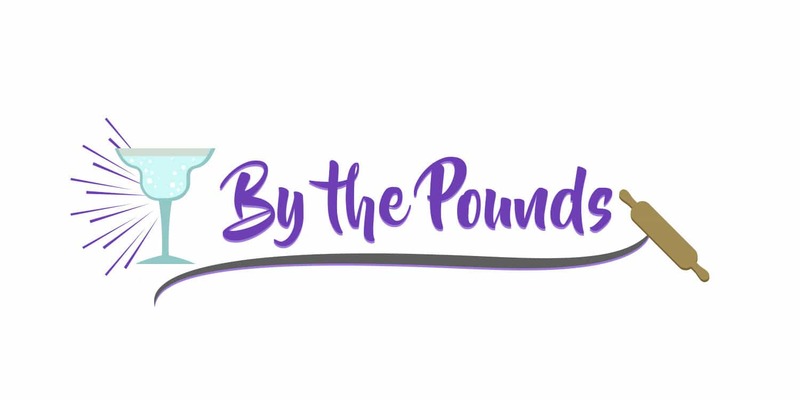 Scents- this is where you can really make these candles something special. You just need to use essential oils to scent your candles. This year we did cedar with orange and lavender vanilla. Something to melt the wax in. I used to do this with a cheap stainless steel mixing bowl I found at Goodwill and would put it over simmering water to melt the wax. However, I found this melting pitcher awhile back and it works great! It has a handle that doesn’t get hot, so you can put it on your stovetop and pour in the wax. The spout makes pouring the hot wax into your containers a LOT easier (I would still put down wax paper, though to catch any spills…trust me on this one). Coloring– I like the look of simple white because it goes with all kinds of containers, but you can get dye if you want to make pretty colors. 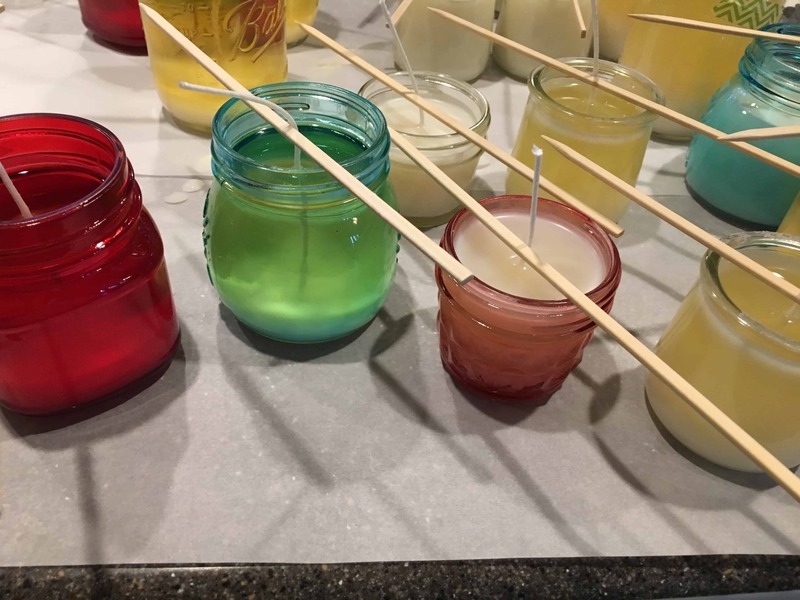 Once you have the materials, making the candles is pretty easy. You’ll put the wicks in your jars, melt the wax and then add your scents off the heat. Then you just pour into your prepared jars and let them cool. So there you have it! If you can devote an afternoon to it, you can make several of things and cross off some names on your shopping list at the same time! What are some other handmade gifts you like to make? These are amazing ideas! I'm going to make a few this year. 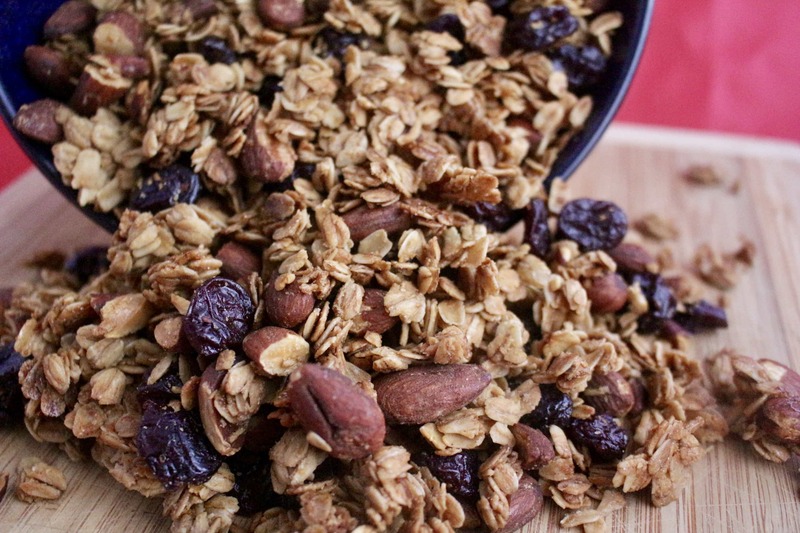 Granola is actually one we want to make this Christmas break. But the caramel sauce? I'd love that!!! Homemade treats are always the best. Love those hot cocoa kits.